“It belongs in a museum,” they say. 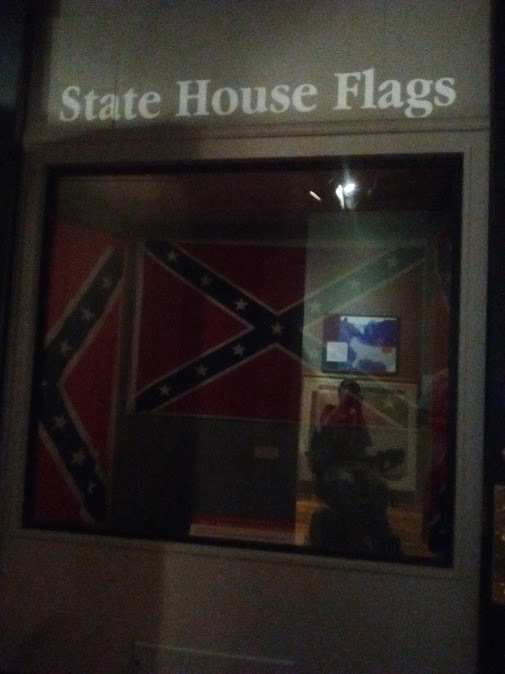 We visited the SC State Museum this evening for the first time since a major renovation, and we noticed how, hidden in a dark corner behind a very interesting exhibit about Mitchelville, a community for escaped slaves started during the War Between the States, there is a display of the two Confederate battle flags that flew over the State House for 40 years–with a text explaining the history of the flag over the state house and when and why it was taken down, and then-governor Jim Hodge, a Democrat who probably wouldn’t even have been elected were it not for two issues, the Flag and the lottery, giving the State House CBFs to the curators of the State Museum. 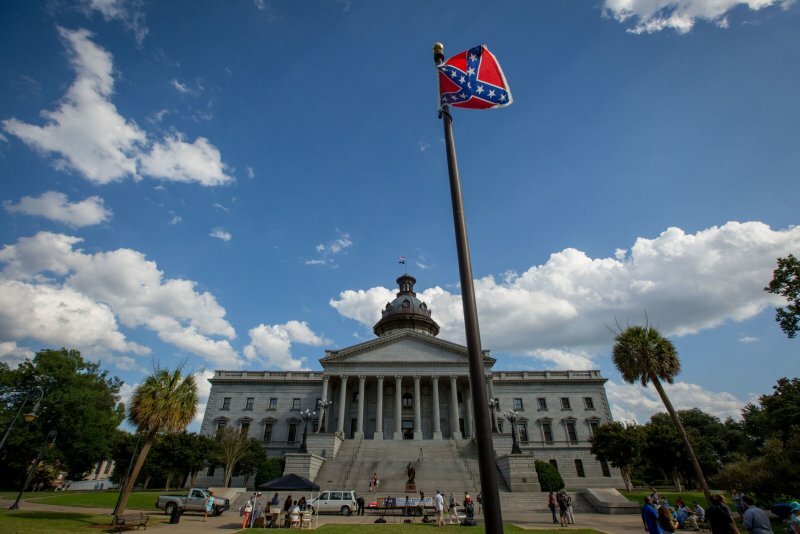 So the controversial one at the current Civil War veterans’ memorial on the grounds wasn’t even above the State House dome previously. The display is pretty easy to miss if you’re not looking for it or studying the exhibits carefully–it’s essentially a closet with a motion sensor light that you have to be standing in front of the glass to turn on. As you can probably tell from my picture, I was too far away for the light to be on. Give the impression that it’s bigger, higher, etc., when it’s not. Do I like that it’s one of the first things one sees at the state capitol? No, but mainly because it looks pathetic and tacky, not for any ideological statement, one way or the other. But this is a perfect example of how people let media distortions influence their understanding of truth. Even cameras, as my journalism professor said, are not unbiased.